Jean-Jacques Rousseau is considered to be one of the great political philosophers. 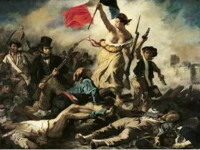 His commitment to liberty and equality made him an important symbol of the French Revolution and to this day many of his ideas maintain their relevance. Not only are Rousseau's major works a part of the standard canon of political theory, they remain influential in communitarian and socialist politics. 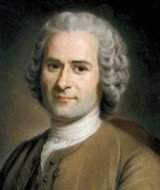 Jean-Jacques Rousseau was born on June 28, 1712 in Geneva, Switzerland to a mother who died shortly after his birth. For the next 10 years he was raised by his father who taught him to value the joys of literature. In his work Confessions, he wrote that he stayed up many a night with his father reading the romance novels that were part of his mother's collection. This resulted in an early interest in the passions. Eventually he progressed to Plutarch's Lives and Ovid's Metamorphoses, which consequently set the stage for his political and social ideas. After moving to Paris in 1742, Rousseau published his first work Discourse on the Sciences and Art, which he wrote as an entry to a competition (he won it). In it he posed the question of whether advancement in the sciences and arts improves morals in a society. As an example, as soon as Egypt, Athens and Rome reached a certain level of cultural sophistication, decadence invariably set in and not long afterwards, they fell to foreign powers. His essay created somewhat of a storm and was perceived as a counter to the Enlightenment direction of removing the myth and superstition of the past. In contrast to philosophers like Hobbes, who saw man's life in a state of nature as brutish and short, Rousseau saw the idea of the 'noble savage' or 'savage man' as one who lives a solitary, peaceful existence concerned mainly with the fulfillment of his immediate needs. This laid the central theme of Rousseau's life's work, which was the notion that the advent of civilization has in certain ways corrupted the natural goodness of man. In The Social Contract, his magnum opus, Rousseau provides a blueprint for the ideal society. In it he states that: "Man is born free and everywhere he has chains." Contrary to what one might expect with such a statement, Rousseau's work stressed the connection between liberty and law, freedom and justice. In Rousseau's ideal society, a ruler is the agent of the people not the master. Might does not create right. It is the citizens, in association, who constitute the sovereign ruler and who determine legislation. Individuals together become a collective moral body forsaking individual rights for the greater good. The 'general will' is arrived at when each citizen reflects on what is produced for the good of all and distinct from 'the will of all', which is merely the aggregate of individual selfish wills. "Each of us puts his person and all his power in common under the supreme direction of the general will, and, in our corporate capacity, we receive each member as an indivisible part of the whole." Although not his intention, one of the criticisms of Rousseau's ideal, is that it amounted to a dictatorship of the majority. Rousseau was not afraid to speak his mind in an age when to do so could be dangerous. He had argued that injustice was the result of institutions which suppress the natural will and ability of men. He repeatedly risked prosecution and some of his books were banned. There is no question however, to his commitment to freedom and equality.